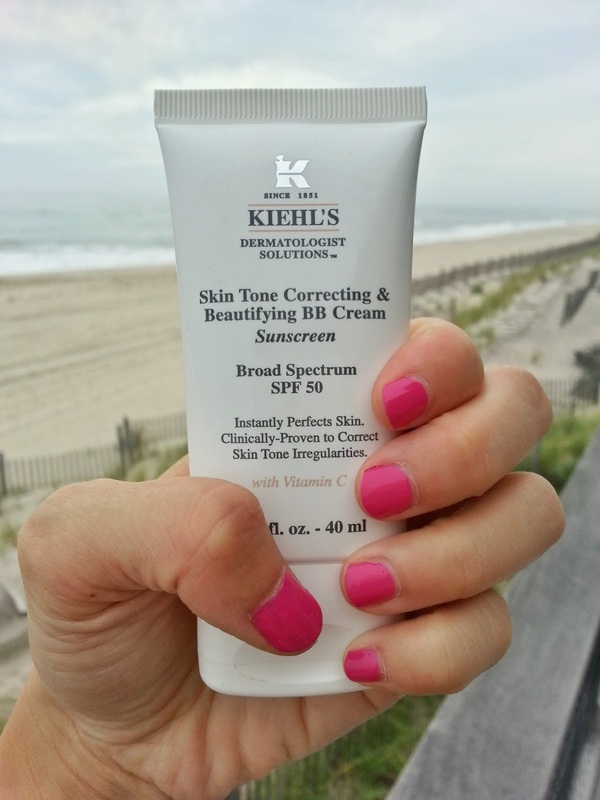 Hit or Miss: Kiehl's Skin Tone Correcting + Beautifying BB Cream Sunscreen + Clinique "A Different Nail Enamel"
Let’s start with this mouthful: Kiehl’s Skin Tone Correcting & Beautifying BB Cream Sunscreen. According to the Kiehl’s website, there’s pretty much nothing this product doesn’t do. 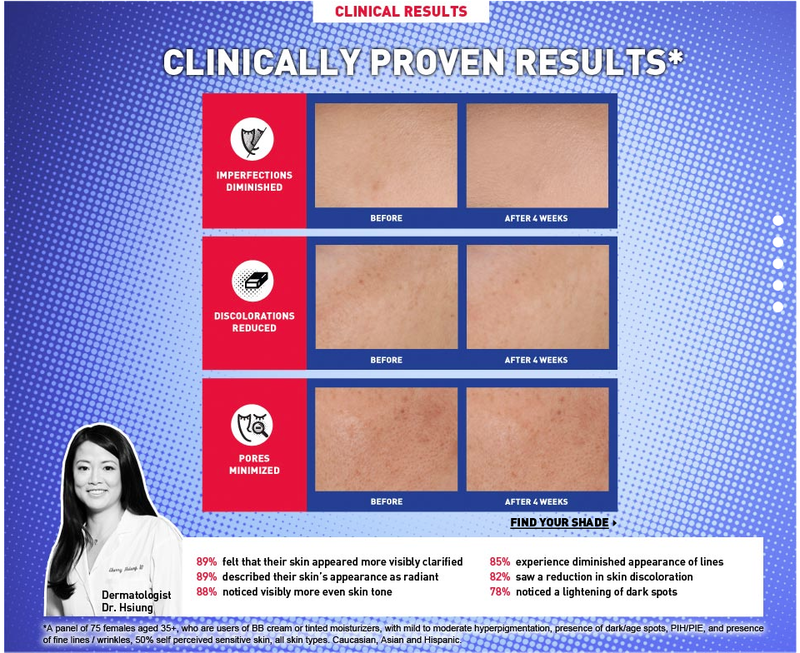 It provides all-day hydration, fades discoloration, minimizes pores, corrects skin imperfections, and protects skin from skin damage with SPF 50. Additional pros include being paraben free, fragrance free, silicone free, mineral oil free, and non comedogenic. Here are some before and after photos from the website. Personally, I love this bb cream because all of the benefits in one package. It’s perfect for the beach or when I need a basic face (you know, for looking decent when out grocery shopping. I feel like people I run into are concerned about my well-being-“Are you ok?” “Sick?”- if I’m completely naked-faced!). It is great at making my skin tone look more even. Although the cream has a thicker texture, it actually feels quite lightweight on my skin. I do get a bit shiny later in the day, so I would recommend some powder over it. On the beach, I don’t really care if I’m shiny so I use it solo. You can see the diminished appearance of sunspots and other blemishes. I also noticed that it did indeed minimize my pores. *have a darker complexion- the bb cream shades are limited. *hate fragrances – the website says “fragrance-free” but it totally smells like that butterscotch scent that is in self-tanners. *have super oily skin- I saw on the reviews that this product brings on the shine! Although some people love it so much, they continue to use it despite this issue. *want to save money- at $37, it’s not the cheapest. But could be well worth it! 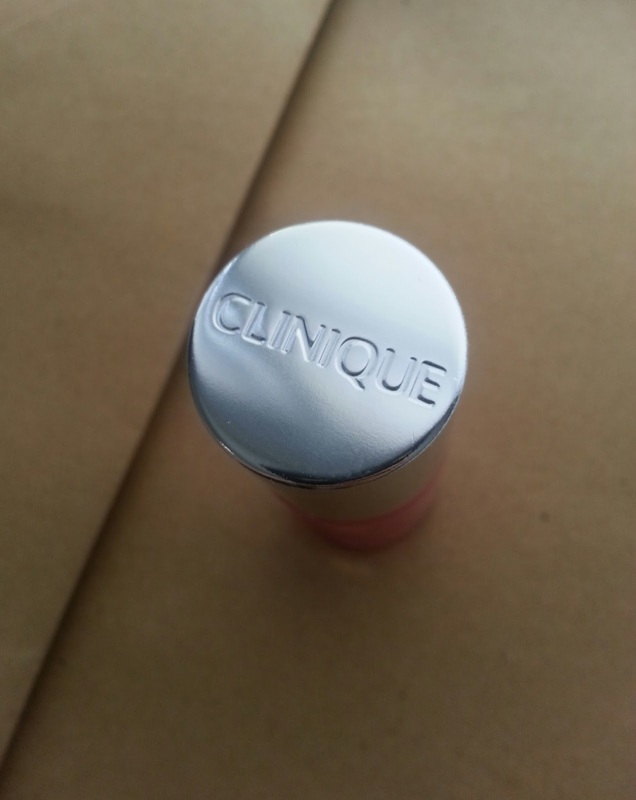 Now, onto Clinique “A Different Nail Enamel” for Sensitive Skin in the color “Hi Sweetie”. 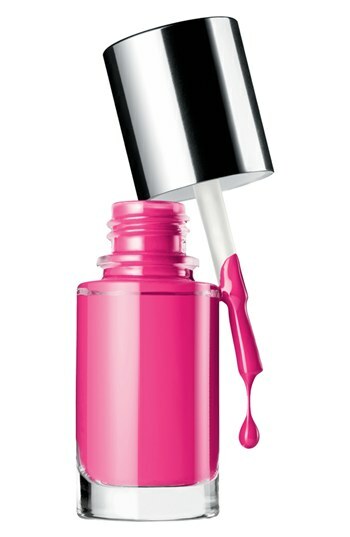 What’s interesting about this polish is that it’s easy on the EYES- literally! It’s ophthalmologist-tested for sensitive eyes. Apparently, the nail enamel is a source of allergens and irritants that get into your eyes…because many of us have the bad habit of touching our eyes (yup, do it all the time- subway pole germs and all). So I guess if you are vulnerable to weird eye rashes or just have sensitive skin in general, this could be your new favorite polish! I liked the color “Hi, Sweetie”. The formula was a little too watery and thin for me. But with a second coat, I started approving of the thickness and the color really started to pop! Yes, I don’t care about my cuticles. I should start. It’s a beauty blog after all, right? The packaging is not that exciting. For me, the polish chipped in about 4-5 days. 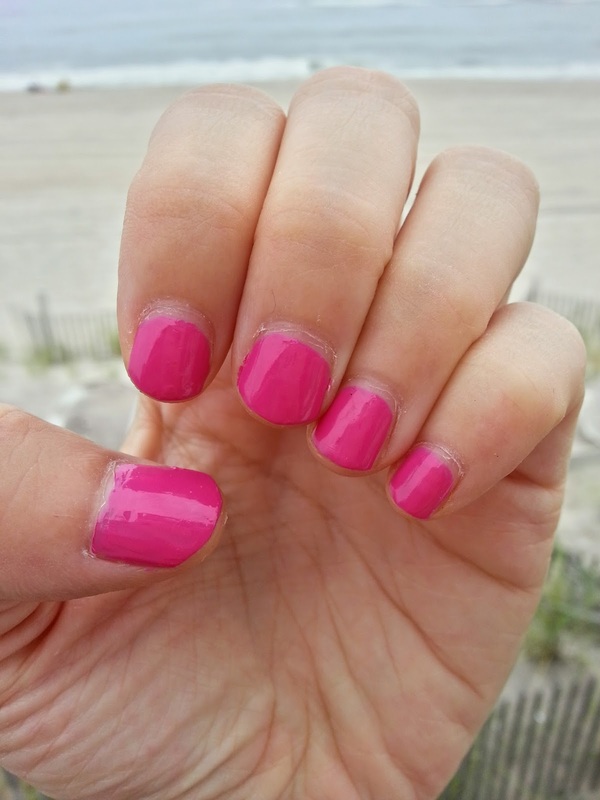 As mentioned, I loved the color, but it took a couple of coats to achieve the look. 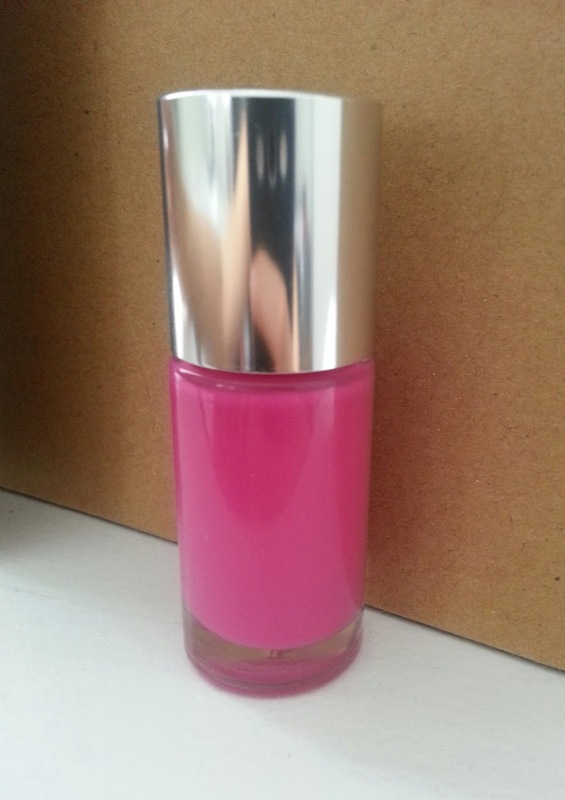 On reviews, some people complained that some shades took 5+ coats to actually get the correct color! For a polish that is made for sensitive skin, I was surprised that it still smelled like harsh chemicals. I believe this line has a limited number of colors- about 11. For $12.50, I would opt for another brand that is less expensive, has more color options, and isn’t as sheer. Written by: Erica Cho on July 6, 2015.